It’s Easter! And that means it’s time for a weekend full of chocolate, egg tapping, and eggs. All kinds of of eggs! Green eggs, blue eggs, eggnog, green eggs… Wait a minute, we already mentioned green eggs in in this list! Someone should have proofread this. Why did we we waste space on the same thing? 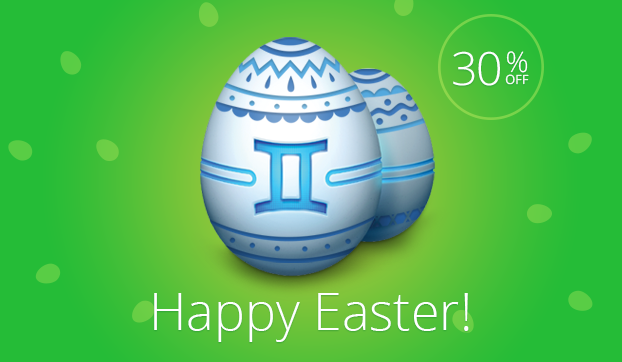 Because it’s called, “desperate for a transition.” This Easter weekend, we’re having a 30% off sale on Gemini: The Duplicate Finder. Gemini is an app that scans for and removes duplicate files from your Mac. With Gemini, you’ll never have to worry about pesky duplicate files wasting space on your hard drive. Get to Mac App Store this weekend and get it 30% off. 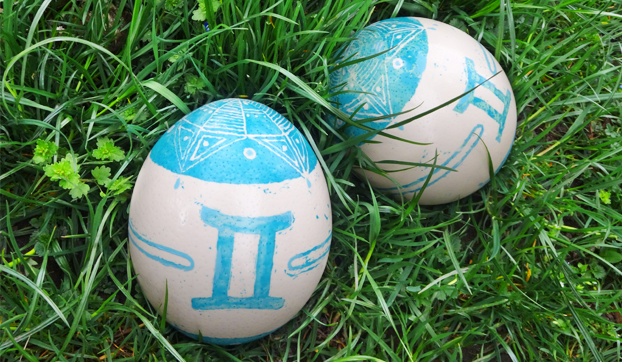 Oh, and in honor of Easter, we decided to decorate some eggs at MacPaw, Ukrainian style. Check them out below and tweet us yours @macpaw on Twitter. We’d love to see how you’re celebrating this Easter.